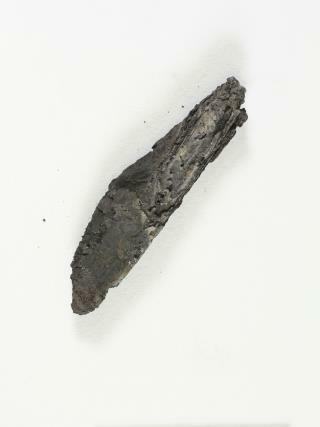 (Newser) – An ancient Jewish scroll reduced to charcoal in a fire 1,500 years ago along the shores of the Dead Sea has finally been read with the help of dedicated researchers and some impressive new technology, National Geographic reports. According to the AP, the so-called Ein Gedi scroll sat in storage for decades after its discovery in 1970 for fear any contact with it would destroy it. Scientists using a technique known as "virtual unwrapping" were able to "unroll" the scroll without actually touching it and read it in 2015, but they published their full findings Wednesday in Science Advances. To view the scroll's contents, researchers had to do extensive scanning and computer modeling, even piecing together more than 100 scanned sections by hand, Popular Archaeology reports. i for one would be very interested to know, what a bunch of bedouins wandering the desert 2000 yrs ago,what their history and laws were like. The core of the belief system remained intact for millennia in spite of considerable geographical dispersion of relatively small groups during times when communication over large distances was cumbersome. It's amazing that the Jews are still here as an identifiable group of people. It's against all odds, an historical anamoly. Ancient propaganda is still propaganda.